Are you considering investing in a Remodeling Contractor project for your property, but are unsure which one you should choose to go with? The professional Oak Park remodeling contractors at Best Home Renovations can help you with this question and many more when it comes to home remodeling projects. Our team of designers are standing by to assist you with all of your questions, and can provide you with all the design advice you will need to make your home remodeling project a reality. Our talented staff have years of experience in the field, and can provide you with all of the expert oversight and guidance you need to help you home achieve its full potential. One of the major reasons homeowners like to invest in remodeling projects is because it helps to significantly improve the value of your home if it is done tastefully and professionally. If you are looking to sell anytime soon, this can be an excellent move, as many times, a major home remodel will wind up paying for itself and then some when it finally comes time to put it on the market. On the other hand, some homeowners make this investment just because they want their home to feel more like their home by customizing their living space to better suit their personal needs and desires. Home remodels are an excellent way to improve and customize the function of your home, better suiting it to your personal needs. With a little professional help from the pros at Best Home Renovations, your Chicago Remodeling Contractor, the options available for your home remodeling project are limitless. Give us a call today to schedule your consultation. The kitchen is one of the busiest rooms in the home, and no doubt, you spend your fair share of time in it as a homeowner. In all that time, you have without a doubt identified several aspects of your kitchen that you love, and probably several that you would really like to see changed or updated. A professional kitchen remodeling from the Oak Park remodeling contractors at Best Home Renovations can help you freshen up the look and feel of your kitchen if you are looking to revitalize its style and bring it up to date or just to better reflect your current design tastes. If you are looking to drastically change the way your kitchen functions, our team of professionals can assist you with that as well. Whether you are looking for new cabinets, new tile backsplashes, or new granite or natural stone countertops, our team is ready to assist you. Bathroom remodels are one of the most versatile remodeling projects on the market today. The sky is the limit when you decide it’s time to update your bathroom. Everything from custom showers and cabinets, spa tubs, new tile floors, stone countertops, or all new fixtures give you a wealth of bold design options that you can pursue to truly make your bathroom a reflection of you as a homeowner. 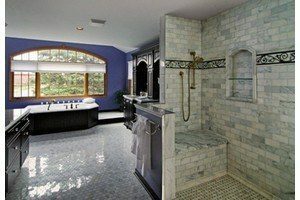 If you are looking for a remodeling project, but aren’t quite sure which one to pursue, a professional bathroom remodel could be just the option you’re looking for. 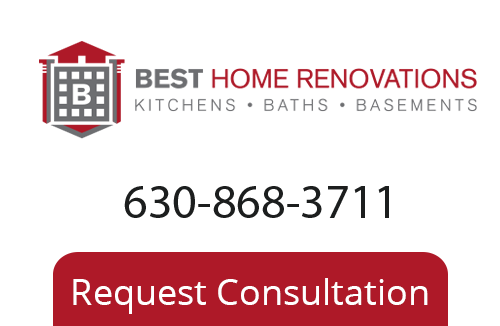 If you are in need of remodeling services in Oak Park, give the team of professionals at Best Home Renovations a call today at 630-868-3711 or fill out our online request form.